Tuesday was a terrible, horrible, no good, very bad day for Democratic moderates. The success of very liberal candidates in primaries across four states is causing a new bout of heartburn among party strategists in Washington, who worry about unelectable activists thwarting their drive for the House majority. But it also reflects a broader leftward lurch among Democrats across the country since President Trump took office. -- In Nebraska, a liberal social worker and political neophyte who built her campaign around “Medicare for All” scored a shocking upset in a Democratic primary to take on Rep. Don Bacon (R). Kara Eastman, 45, beat former congressman Brad Ashford, 68, in an Omaha-area district that national Democrats believed they could pick up in November. -- In Pennsylvania’s Lehigh Valley, where GOP Rep. Charlie Dent’s retirement created a winnable open seat for Democrats, early front-runner John Morganelli — a district attorney who has been locally prominent for decades — lost the primary to attorney Susan Wild, who ran at him from the left. Morganelli, who opposes abortion rights and “sanctuary cities,” was attacked relentlessly on the airwaves for speaking positively about Trump and tweeting that he was open to taking a job in the administration during the transition. - Statewide, John Fetterman — a small-town mayor with a bristly beard and tattoos on both of his arms — toppled Pennsylvania’s incumbent lieutenant governor, Mike Stack, thanks in part to the strong endorsement of Bernie Sanders, who stumped across the state for him on Friday and Saturday. Fetterman campaigned on universal health care and legalizing marijuana. 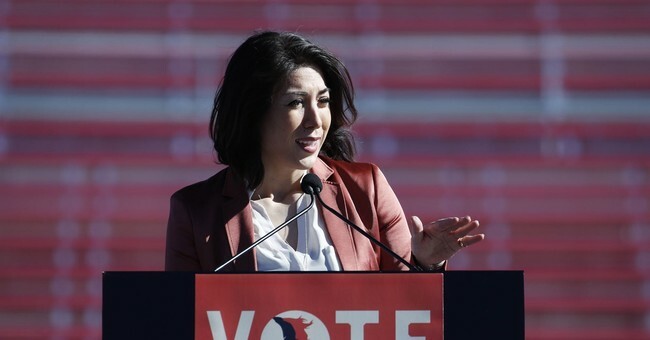 In Idaho’s Democratic gubernatorial primary, Paulette Jordan defeated business owner and Boise school board member A.J. Balukoff, who had the backing of most of the state’s political establishment. Jordan, who has generated a lot of media coverage because she could become the first Native American governor in the country, built her campaign around protecting more public lands, as well as promising to expand Medicaid, relax marijuana laws, reduce incarceration and limit corporate tax loopholes. She garnered 58 percent of the vote. So, do we have to revisit the notion of a left wing Tea Party? I’m not there yet. For starters, once the proposals are fleshed out, like single-payer health care, support is sky high until you tell voters their employer-based plans would be eviscerated. You don’t really get a massive political movement going based on increasing the size of government, raising taxes, restricting speech, establish safe spaces and cry closets, and telling working people that they will subsidize the poor by keeping them in an endless state of dependency. At the same time, Bernie Sanders has filled that role, though free college, Medicaid for all, and raising the minimum wage continue to be lacking in enthusiasm outside of the Democratic base. It’s true that the Democratic voter advantage has collapsed, but remember, folks—it’s only May. And yes, if there is a lefty Tea Party centered around one man, Sanders, its shelf life will expire. It’s happened to the Tea Party, but before it died—it crippled the Obama agenda. No more plowing over Republicans to get Obamacare. That nonsense ended in 2010 and it’s final death occurred in 2014. That could happen with Trump, however. The moral of the story for the GOP: vote. Set your reminders. Start researching if your district has a competitive race, and even if there isn’t one—vote. Tax reform is on the line. Second Amendment rights are on the line. The progress this nation has made economically could be reversed under the regulations-riddled, high-tax garbage they’re mulling on the sidelines as we approach the midterms. I wouldn’t get comfortable just yet.